Professor Emeritus Claire Penn, an NRF A-rated scientist, passed away peacefully on 21 July 2018 after a long illness. Claire dedicated a significant portion of her life to the University of the Witwatersrand and was instrumental in developing the field of health communication in South Africa. Claire will be remembered as an outstanding teacher, supervisor, researcher and mentor. 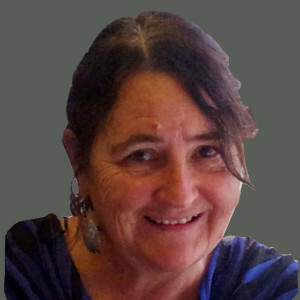 Professor Claire Penn held the endowed chair of Speech Pathology and Audiology at the University of the Witwatersrand and was the Director of the Health Communication Research Unit. She was a B1 rated scientist with the NRF and then became an A-rated scientist. She was instrumental in the development of a new field in South Africa known as Health Communication and headed a new multidisciplinary research entity, which is a group concerned with the unique challenges of multilingual and intercultural communication in the South African healthcare context. The main goal of research in the Unit is to apply methods from the humanities and the social sciences to investigate communication practices across healthcare domains and sites, with a view to influencing theory, formulating recommendations for policy and practice and developing and implementing site-specific communication training programmes. The current TB project on team communication aims to develop a set of guidelines for management of communication challenges for TB. For the collaboration, Prof Penn focused on developing, implementing and measuring the impact of a communication skills training programme for healthcare teams to reduce stigma and improve patient adherence to TB treatment.